Here’s a great documentary on the mighty Republic F-105 Thunderchief. I especially enjoyed the little seen footage of the prototypes and the testing regime. NTP Answered and some history and some odd stuff. So, the NTP from yesterday was actually answered pretty quickly in the comments. Tis indeed the wing from a Cessna O-2A/Model 337 Skymaster. I’ll be honest, when I saw it, *I* was stumped until I saw the tailfin in another part of the maintenance area of the hangar. Most of the area was blocked off, so I couldn’t get a good look at the fuselage, so I couldn’t tell if it was an actual O-2A, or the civilian Model 337. But all references to CALFIRES says they flew surplus O-2As, so I’ll go with that. Back in 1961, Cessna introduced the Model 336 Skymaster light twin. It’s unusual push/pull engine arrangement had the advantage that if one engine failed, there would be no adverse yaw characteristics, something that is especially critical in light twins, particularly at takeoff. The Model 337 introduced some changes, particularly adding retractable landing gear to the aircraft, and an air scoop to increase cooling for the rear engine and soon replaced the 336 on the production line. The US Air Force, looking to replace its obsolescent O-1E Bird Dog FACs in Vietnam, and while waiting for the “definitive” OV-10 to arrive, bought about 500 of a slightly modified version designated the O-2A. The primary differences from the civilian model included windows in the right hand door to increase visibility, hard points on the wings for marking rockets, and extra radios for the FAC mission. Including the 336, the O-2A, and several other civil variants, almost 3000 Skymasters were built. They’re still a popular aircraft on the used market. Having said that, they’re notorious for poor performance with one engine out, having just enough power to get you to the scene of the accident. As for the oddity, conversions of the 337 to various configurations is apparently quite popular. One popular conversion is providing a larger engine in either the front or rear, and removing the other engine for increased space. The US Navy apparently still operates on modified O-2A as “the Pelican” in which the rear engine has been replaced with a more powerful motor, and the front engine replaced with a sensor pallet similar to that used on the MQ-1 Predator. Per NPS, the advantage of this arrangement is it can be flown in airspace that would be restricted to unmanned aircraft. It seems that it is generally used for range clearance at the US Marines Weapons and Tactics Instructors course at MCAS Yuma, and as a surrogate for unmanned aircraft in support of the course. Author XBradTC2Posted on January 18, 2015 Categories planesTags plane pron, planes4 Comments on NTP Answered and some history and some odd stuff. We mentioned a bit ago Brazil contracting to bring four C-1A Traders back into service, with an overhaul and update, to support their carrier both as a Carrier Onboard Delivery aircraft and as a tanker. 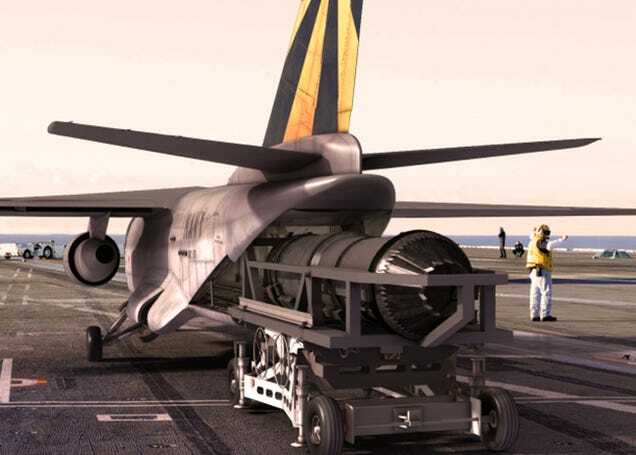 And yesterday, we brought news that the Navy has apparently decided the future COD for its carrier strike groups would be a variant of the V-22 Osprey. Let’s spend a bit of time on the COD. First up, speaking of the C-1A, there are a couple in the hands of private owners who fly them on the Warbird circuit here in the US. Memory fails me in my advancing years. 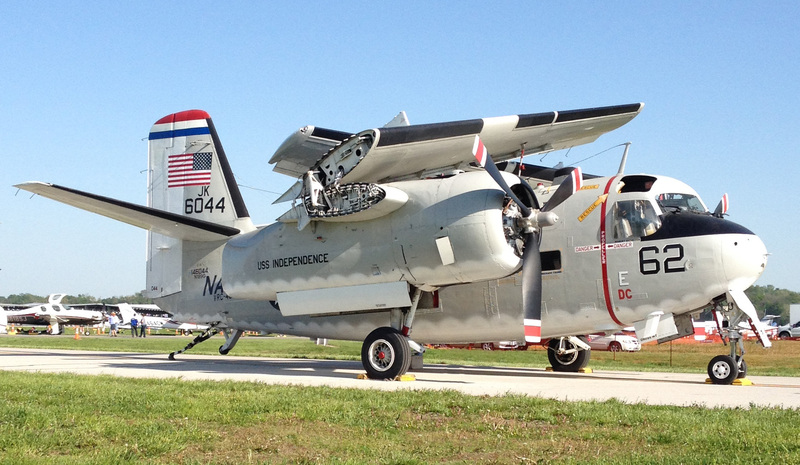 I can’t recall if the Grumman I saw at the Goshen airshow in 98 was a C-1A (maybe this one!) or a US-2A, which was a standard S-2A Tracker that had all its ASW equipment stripped out, and was used as a utility plane. As mentioned, the first dedicated COD for the US Navy was a modification of the World War II TBM Avenger torpedo bomber. Stripped of armament, it could haul the mail and a handful of passengers. Long after the TBM was superceded as a combat aircraft, the TBM-3R served to transport priority passengers and cargo, serving well into the mid 1950s. 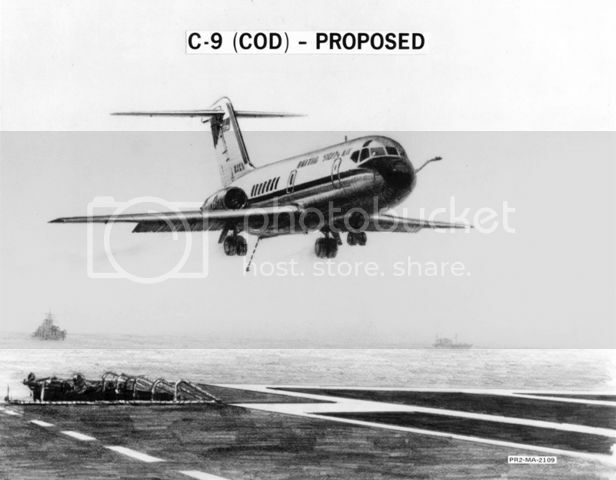 As previously noted, the UF-1, later redesignated the C-1A Trader, became the backbone of COD services through the late 1950s, the early 1960s, and soldiered on until the early 1980s. The Trader was the last piston powered aircraft flown from US carriers. The Trader was first supplemented, and later replaced in service by the C-2A Greyhound. Much as the Trader was an adaptation of the S-2 Tracker, the Greyhound took the wings, engine and empennage of the E-2 Hawkeye, and used a new fuselage to quickly produce a COD variant. 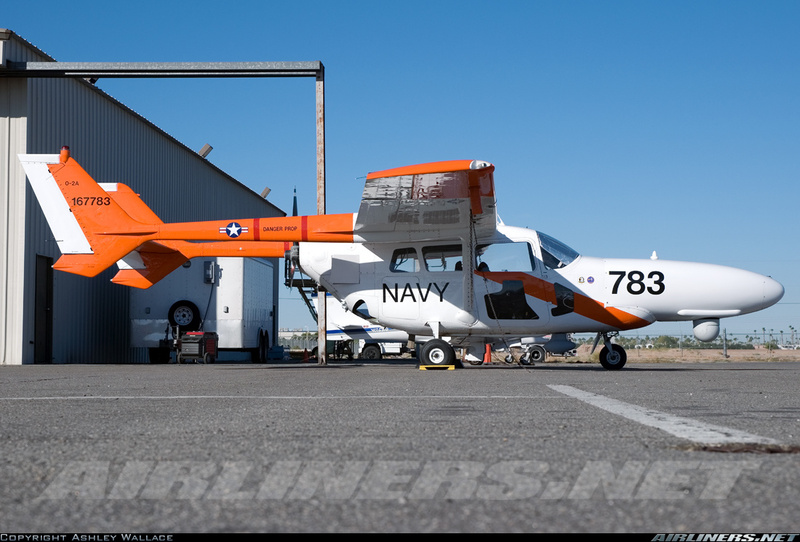 The first batch of C-2s were built in the early 1960s. After years of hard work, the C-2A was replaced by… well, more C-2s. The Navy contracted with Grumman to build a second batch of Greyhounds in 1984. The original batch has been retired, but the second production batch has been refurbished and updated with new propellers, much as the E-2 fleet, and continues in service. While those are the primary aircraft used in the Carrier Onboard Delivery role, there are a few also-rans, a one-off, and some ideas that never came to fruition. The Douglas A-1 Skyraider is legendary for its service in Korea and Vietnam as an attack aircraft. But Douglas also built a combat capable version that could (and did) double as a utility aircraft. The AD-5 (later A-1E) widened the fuselage a bit, and extended the vertical stabilizer, and replaced the single seat bubble canopy with a “greenhouse” that had a side by side cockpit for two, and seating for about 8-10 in the back. The “Five” also served as the basis for quite a few night attack and electronic warfare variants of the Skyraider, including a predecessor to the E-1B Tracer and E-2 Hawkeye. The Navy tended to use their –5 models as station hacks and utility aircraft, but the Air Force eventually used most of the vanilla A-1Es in Vietnam (or turned them over to the South Vietnamese Air Force) and used them to great effect as attack aircraft and in the Sandy role to support Combat Search and Rescue. Indeed, MAJ Bernie Fisher was flying an A-1E when he earned the Medal of Honor. Much as the S-2 Tracker inspired a COD variant, the S-3 Viking did as well, but to a much lesser extent. 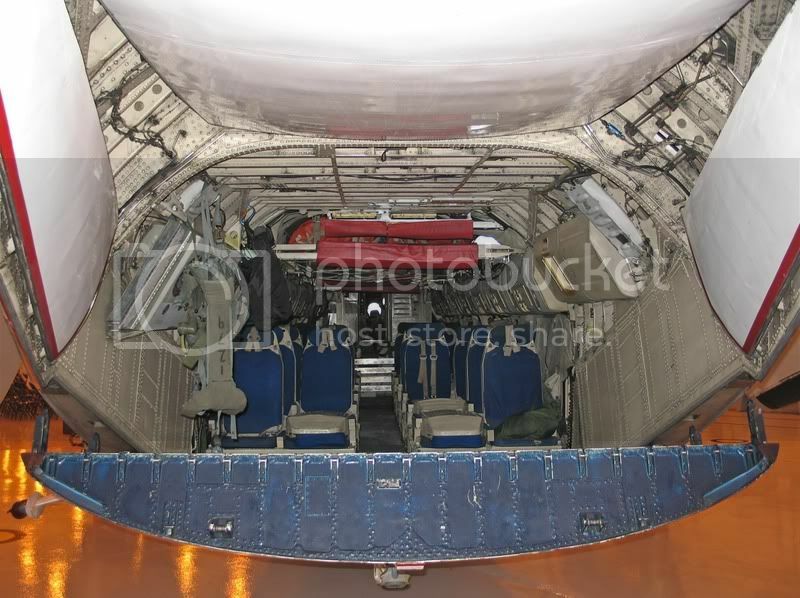 One S-3A was stripped of armament and sensors and had its cabin fitted for up to six passengers or two tons of cargo. Primarily used to support carrier operations in the Indian Ocean, its great range and (relative) speed made it useful for ferrying people and critical cargo from Diego Garcia to the carriers on Gonzo Station. Recently Lockheed proposed pulling S-3s from mothballs and fitting them with a new fuselage to serve as CODs and tankers, but the extensive design and fabrication work required meant that idea was pretty much a non-starter when new build C-2s or V-22s were on the table. While no COD variant of the venerable A-3 Skywarrior was built, it wasn’t uncommon for it to haul one or two VIPs when transiting from place to place. And for a time, the CNO used a VIP version as his personal transport, though I’m unaware of any CNO using it aboard a carrier. Remember we mentioned the Navy had Grumman build a new batch of C-2s in the mid-80s? When word came out that the Navy was looking to replace its 1960s era Greyhounds, a couple of off the wall proposals for COD replacements were made. Both McDonnell Douglas and Fokker proposed carrier capable variants of airliners for the job! Fokker also realized a tanker would be popular. Neither proposal went much beyond some general sketches and marketing pics. It wasn’t so much that the Navy didn’t think a viable carrier variant could be made, but that operating such large aircraft from the tight confines of a carrier deck posed some real issues. If the plane broke down while aboard, it would really screw up the carrier’s ability to launch and recover other aircraft. ithout mentioning the largest trash-hauler to land aboard a carrier. Yes, Jimmy Flatley III successfully landed and took off a C-130 Hercules from the USS Forrestal clear back in 1963. By the way, no tailhook, and no catapult! But just because you could, doesn’t mean you should. While we’re at it, a couple other oddballs pretending to be CODs, both of which have been featured here before. We might not have chosen the V-22 to replace the C-2, but the fact is, someone has to provide priority cargo and personnel transport to the carrier group, and the V-22 is in production and in service. Better a bird in the hand than a power point program in the bush. I’m a Boeing fan, but I’m not an Airbus hater. And there’s no denying this is some pretty spectacular photography, as well as an interesting look into the making of the video. Originally concieved as an improved F-5 Tiger, the F-20 Tigershark was a Northrup product intended for sales to overseas customers. Replacing the twin J85 turbojets of the F-5 with the F404 turbofan engine, the F-20 was a real hotrod. Unfortunately, it was also about the same time that our NATO allies jumped whole hog into production of the F-16, coupled with sales of French and other fighters. The market timing was off, and the Tigershark never went into serial production. So, a while back, we posted on the experimental vertical take off cargo plane, the XC-142. Five were built and tested, but the type was never ordered into production or service (though it came a good deal closer to that than many other VTOL products of the day). It is a rather obscure aircraft. But wouldn’t you know it, some Radio Control modeller liked the challenge of building and flying one. No, not the uber-cheezey Nic Cage film. VA-304, the Naval Air Reserve A-6 Intruder squadron made a video back in the day. The home base is NAS Alameda, which most of you know today as the runway where the Mythbusters do some of their more…. kinetic… experiments. These clips also have some of the best low-level flying shots I’ve seen. Oh, and all that scary low level stuff? They also did it at night. Author XBradTC2Posted on May 11, 2012 Categories navy, planesTags a-6 Intruder, naval aviation, navy, plane pron1 Comment on Firebirds! I don’t want to make this “All Intruders, all the time!” here, but folks that know me know I love the old Grumman A-6 Intruder. Some of it is family history, and some of it is a love of utilitarianism. Plus, I kinda like my planes a little on the ugly side. Unlike my wimmens. I stole these two videos from Andy at the Neptunus Lex Facebook page. Sadly, I’ve never figured a decent way of giving linky-love to a closed group over there. I just don’t want you to think I come up with this stuff on my own. No sir! The essence of smart blogging is letting someone else do all the hard work. At any event, here’s two clips. And if we’re lucky, Andy might share some more Intruder stuff soon.